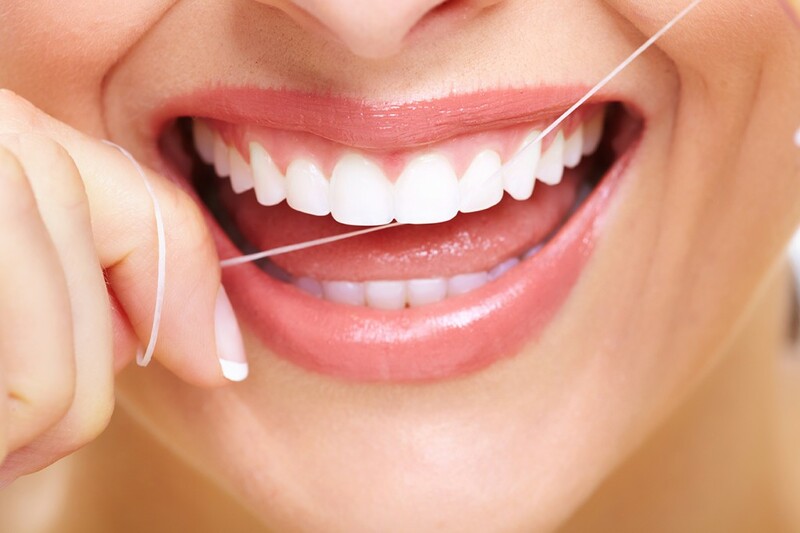 Flossing plays an important role in the quality of your oral and overall health. If you’re like most people I talk to, your flossing regimen consists of flossing the night before and the day of your dentist appointment. Your palms might even get a bit sweaty and you might try to avert your eyes when the dentist asks how often you floss. Since you’re a thorough brusher, you say, “Oh, a few times a week,” and hope you get away with the white lie. Flossing and brushing are more effective than brushing alone. The soft bristles on your toothbrush work to remove the sticky plaque on your teeth that can cause cavities. Fluoride toothpaste enhances the effect of the toothbrush and can help reduce the amount of bacteria in your mouth. But neither can clean the hard-to-reach areas that flossing does, like the spaces between teeth and under the gum line. Flossing protects your gums. Your gums protect the base of your teeth, where connective tissue attaches to your teeth’s roots to the bones in your jaw. Bacteria can collect in the tiny pockets of your gums, causing inflammation. If left untreated, the bacteria will spread below the gum line into the connective tissue, causing periodontitis. Flossing helps prevent disease. Research has shown that the bacteria created in the mouth can spread to other parts of the body, which may lead to heart disease and diabetes, among other illnesses. Flossing daily will help keep the bacteria at bay, leading to a healthier mouth and body. Flossing helps banish bad breath. Flossing daily removes the food particles and bacteria that cause bad breath. This makes flossing one of the easiest ways to prevent bad breath. Flossing saves you money. Flossing, along with regular dental exams and cleanings, is an important part of preventive dental care and reduces the likelihood you’ll need expensive dental procedures in the future. Want to brush up on your flossing skills? Check out this quick tutorial on how to floss your teeth. I thought that you made a very important point about how maintaining a flossing and brushing routine is necessary. I’ve thought for a long time that I can have healthy teeth by just brushing every day. After I found out that my gums are infected, I started to change my mind about flossing. You’re right, flossing is important to protect your gums, so now I do that every night to get rid of any debris from in between my teeth. You’re right about how I should floss to protect my mouth against gum disease. It seems there’s a lot of bacteria and food that can be cleaned out by flossing. I’m glad that you mentioned how the bacteria in my mouth can collect in my gums and cause inflammation. I haven’t flossed in a while, so now I’ll remember to do that tonight. This is some really good information about flossing. I like that you pointed out that flossing will help protect our gums. If it is hard for you to floss it seems like it would be a good idea to talk to your dentist about ways to help you get better at it. Thanks for bringing to my attention that flossing protects your gums. I have really good brushing habits, but I haven’t been so good at flossing regularly in the recent past. Perhaps it would be a good idea to start doing that daily so I don’t end up with problems with my gums. I did not realize that your gums protect the base of your teeth. Knowing that if left untreated, bacteria will spread below the gum line into the connective tissue which is why flossing is important. My mom has always said that one should floss at least once a day and to use an ample amount of floss to ensure the job gets done well.